Sorry for the long delay between posts. I am never not knitting but I tend to move onto other projects rather quickly and I took time away from blogging to research some upcoming woodworking and flooring projects. Back to knitting. This little project is for a new little grandson born just a month ago. What better way for the little guy to stay warm and look cool all at the same time? 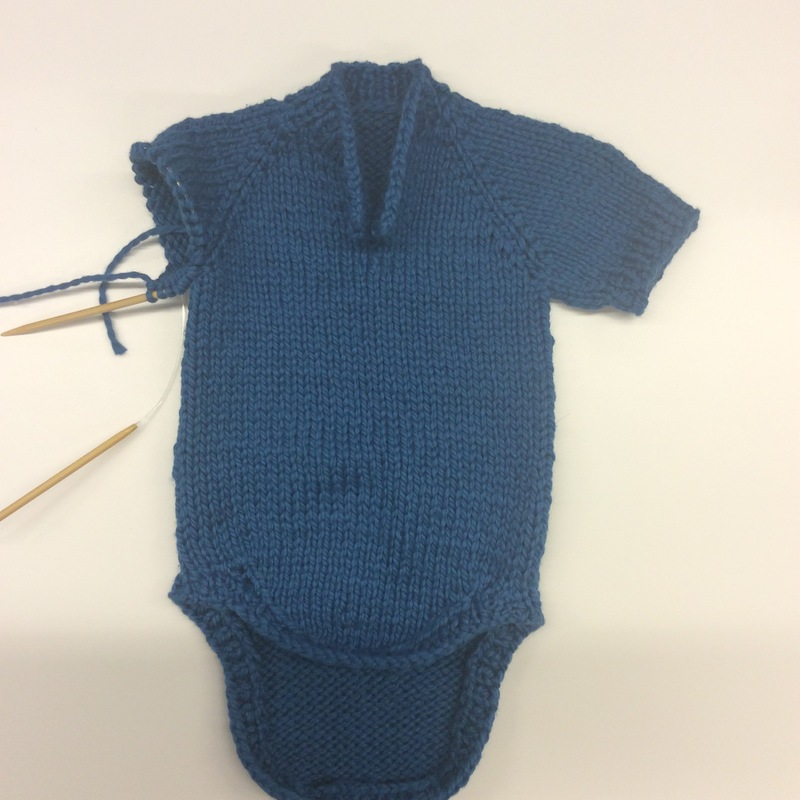 It’s still a work in progress by I love this onesie with the popped baby collar. Who knows maybe I’ll finish jotting down the pattern for this one. Well, I better get back to it. Just a quick finish on the last sleeve on my train ride, block it tonight and add some buttons or snaps to close, and this will be shipped off before I know it. By the way, the yarn is 100% cotton from Blue Sky Alpacas.